No two words conjure the same level of enthusiasm and longing as "summer vacation." It's that glorious time where you can escape to a dream destination, and making that dream a reality isn't difficult when you know where to go. Fortunately, there are many places to choose from at home and abroad. Hawaii may be a winter hotspot, but that doesn't stop tourists from visiting the islands' famous shores even during the summer months. Known for its surfing and the choice of white or black sand beaches, Hawaii offers other adventures for anyone whose interests go beyond eliminating tan lines. Once you leave your hotel's lanai, set out to explore Hawaii's hiking trails and frighteningly active volcanoes, or take in the dramatic scenery via a helicopter or boat tour. Doing something or nothing could hardly be easier. 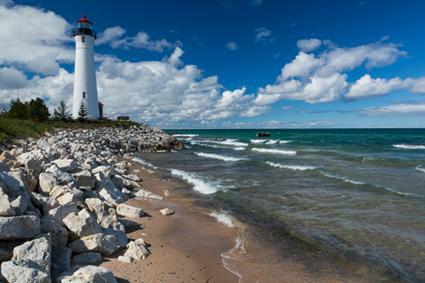 If you enjoy spending time in the great outdoors, try Michigan's Upper Peninsula. This family-friendly vacation destination makes an enjoyable getaway for the entire crew. With 1,700 miles of shoreline along three out of five of the Great Lakes (about 60%), opportunities abound for canoeing, fishing and hiking. Renting a cabin will allow you to explore during the day and relax with your family at night within a temperate climate that won't make you worry about heat exhaustion. 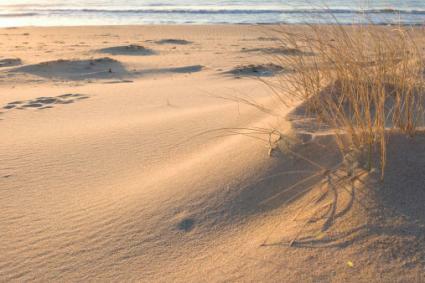 There are many reasons that New York's rich and famous head east to Long Island's famous Hamptons come summer. Spread across Long Island's South Fork, charming villages feature upscale lodging and shopping, a growing number of wineries, and gourmet dining venues. There are also pristine Atlantic beaches which stretch from Westhampton to Montauk that complement the Hampton's famous nightlife for visitors who wish to either find or escape the crowd. 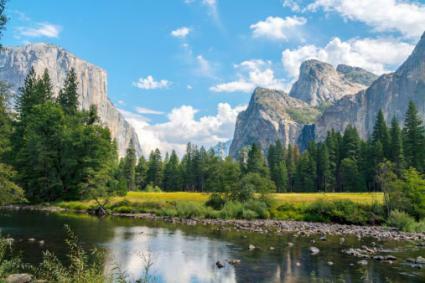 If you equate summer vacation with being outdoors, Central California's National Parks - particularly Yosemite and Sequoia /King's Canyon- can fill all your time and then some. Each park features stunning alpine scenery, miles of hiking trails, and easy accessibility with about four to six hours of driving time from most cities on the coast. Stay at one of the many area lodging options and feel small as you wind your way through the largest trees on earth. You may even spot bears and other forest wildlife as you take in the mind-numbing beauty of Yosemite Valley. This is one of the most lovely regions of the entire country. While winters can be downright brutal, Maine's Atlantic coast comes alive in summer. This means a steady influx of shoppers for Bar Harbor's quaint harbor front as well as guests for its charming bed and breakfast inns. Of course, there will also be plenty of patrons for the ubiquitous lobster shacks that stay open late into the night and serve Maine's most famous dish. 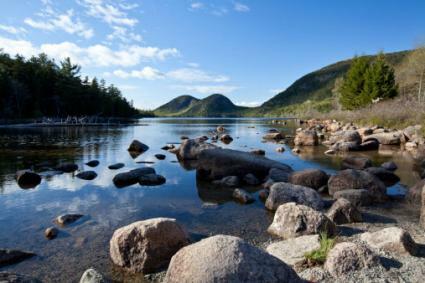 Bar Harbor is also a gateway to nearby Acadia National Park. This is the only national park in Maine, and it's a natural haven which encompasses tranquil ponds, silent forests, rugged coastline and gorgeous views from atop Cadillac Mountain. 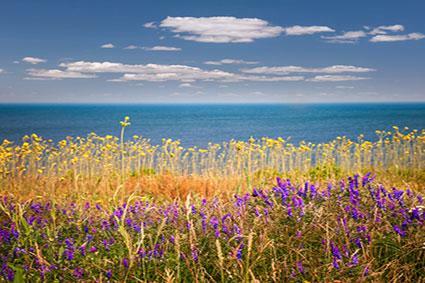 Exploring this natural bonanza is a worthy summer activity. You don't have to be a teenage girl obsessed with Anne of Green Gables to enjoy Prince Edward Island, which is one of Canada's smallest provinces. You can explore beaches, stay in quaint towns and hike nature trails all in one day and still not run out of activities. Sample the local seafood, play a round of golf, lose yourself shopping for antiques or seek the solitude of a lighthouse. The Gentle Island is a tranquil respite from the modern world and conveniently located among Canada's maritime provinces. With a name like Iceland, it's only logical to come calling during summer. This gorgeous natural gem is comfortably located in the path of the warm Gulf Stream and is a nature-lover's dream. The capital Reykjavik is the best place to stay, but just outside city limits there's a natural wonderland literally brimming with waterfalls, geysers, glaciers and all sorts of geothermal activity. 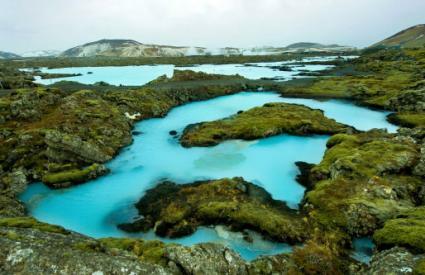 The most famous example of the latter is the Blue Lagoon, which is a unique spa that harnesses nutrient-rich geothermal water which remains between 97 and 104 degrees Fahrenheit year-round. Lying a little farther off the beaten path than Ischia and Capri, the Italian island of Ponza is as authentic a Mediterranean island as it gets. Reachable via ferry or hydrofoil, this rocky outpost of terraced hillsides, dramatic beaches, and the most charming port imaginable comes alive in summer months. 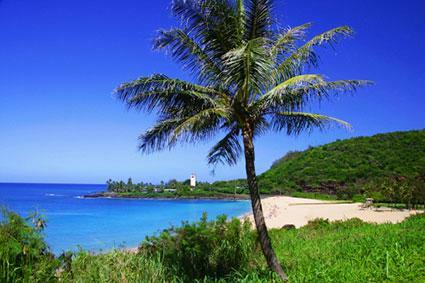 This makes it a particularly attractive destination for yachting and boating enthusiasts. 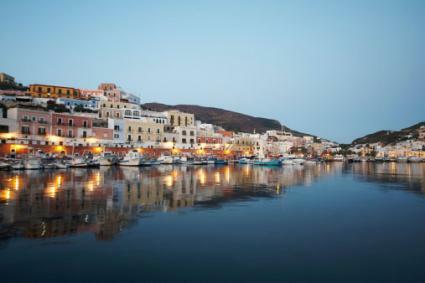 For a taste of authentic Italy without the large crowds, a stay on Ponza should be on your summer itinerary. 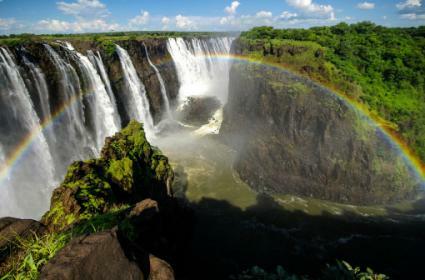 While Victoria Falls is a year-round spectacle, the summer months in the Northern Hemisphere translate to the cooler/dryer months in Southern Africa. Arriving during the dry season means better views of this magnificent cascade (one of the Seven Natural Wonders of the World), manageable crowds, reasonable accommodations, and the opportunity to traverse its mighty face without becoming completely drenched. You can also visit the marvelous area attractions such as national parks, wildlife safaris and Zambezi River cruises in moderate, more pleasant temperatures. 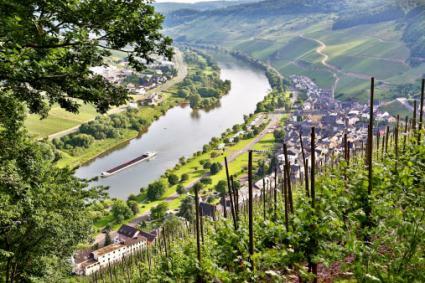 The World Heritage Upper Middle Rhine Valley lies within an easy drive from the major transportation hub of Frankfurt, Germany. This collection of adorable villages and hotels stretches from Bingen to Koblenz and encapsulates stunning natural scenery, river cruising options, and more castles than you can shake a schnitzel at. Whether you travel by car or riverboat, this gorge offers some of the loveliest views in central Europe, and the party is in full swing during the long days of summer. Most people wouldn't think of Central Turkey as a summer destination. In fact, most wouldn't think of Turkey at all. 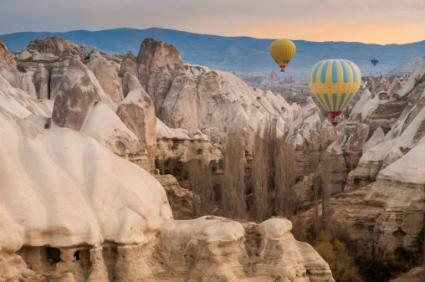 Yet Cappadocia, a lesser-known region in Anatolia, is a unique playground where man and nature have collaborated for centuries. With a surreal landscape composed of soft volcanic rock, eons of winds and rain have sculpted valleys into dreamlike shapes. For a real treat, take a balloon ride over this hard-to-describe moonscape. You can easily book a ride from one of the many cave hotels (converted dwellings carved right out of the rock) which cater to visitors in the towns of Goreme and Urgup. 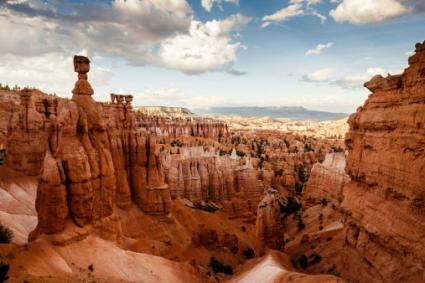 If a trip to Turkey simply is not in the cards for your summer vacation, southern Utah's Bryce Canyon National Park is a worthy stand-in. This dry canyon showcases the mesmerizing effects of erosion, and it's a great place for people who prefer their jaunts into the great outdoors to be a little more on the surreal side. For a combination of natural beauty and convenience in other-wordly setting, a stay at Bryce Canyon is the best option this side of the Atlantic. 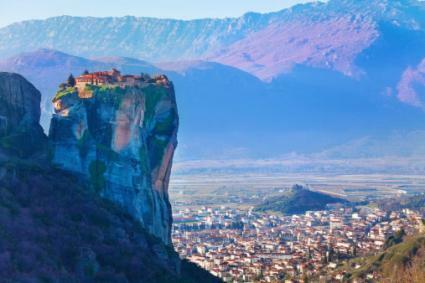 Although the crowds will be clustered in and around Greece's famous islands come summer, visitors with a taste for the unique will do well to stay on the mainland and take a jitney to Thessaly's greatest attraction - the Meteora. With its tourist infrastructure and hotels based out of the nearby quaint town of Kalampaka, this World Heritage Site features enormous pillars of sandstone which jut out from the fertile plain, many of which are capped by ancient monasteries. Various activities in this unreal setting - especially at around sunset - provide some stunning panoramas and opportunities to contemplate the Divine, all within reasonable distance of some great baklava. Norway is generally credited with some of the most amazing natural scenery on the planet. 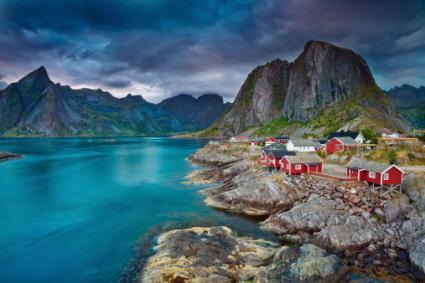 Along with the fjords, the Lofoten Islands rank high on the list of places to see. This mostly-vertical archipelago north of the Arctic Circle is known for its charming towns, quaint accommodations, dramatic coastline and, of course, the opportunity to play under the Midnight Sun. The latter is a major draw for photographers who flock there for the ethereal lighting conditions. The long days and mild temperatures make summer the best time to visit. Although the drive is long (flying is much quicker and easier), a journey above the Artic Circle proves that it's all about the journey, not the destination. Practically everyone knows that the Amazon Rain Forest is unique. As to why a person would want to visit during the summer is quite simple; this is considered the dry season for many parts of this vast ecosystem. Arriving during the dry season means better weather, and lower water levels lead to greater opportunities to spot wildlife or laze on a sandy river beach. 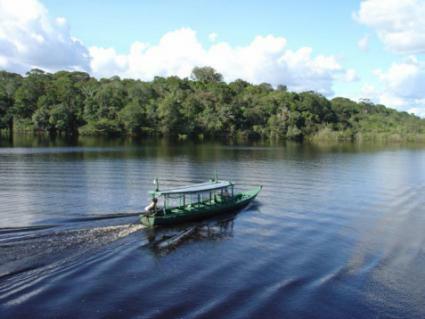 Whether you head out from the hub of Manaus or points south, anyone interested in visiting and staying in one of the world's last great natural wonderlands should consider Brazil when making summer vacation plans. The sad part about summer vacation is that it eventually has to end. That discouraging fact can be tempered by making the most of your travels. So whether you choose to take an epic adventure to one of the remote outposts of the world or a simple road trip with family and friends, make your summer dreams reality while the sun is high and the days are long. You'll have plenty of memories to keep you warm the next time it snows.